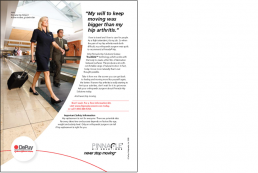 Want to talk to middle-aged people about hip and knee replacements? Show them real patients telling their own “moving” stories. 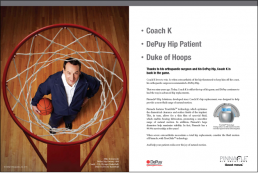 And then, use USA basketball coaching legend (and DePuy double hip replacement patient) “Coach K” in an anthemic Olympic commercial, directed by the great Joe Pytka. Slam dunk!